Thank you for your interest in the Graduate Conference! Registration is now closed. If you have any questions or concerns about the conference tomorrow please contact us at ubcasiagrad@gmail.com. Thank you! Daisuke Miyao is an associate professor of Japanese film and the chair of the Department of East Asian Languages and Literatures at the University of Oregon. His research and teaching interests include film history and film theory. He has published widely in the area of silent film, with his monograph Sessue Hayakawa : Silent Cinema and Transnational Stardom (Durham: Duke University Press, 2007) receiving the 2007 Book Award in History from the Association of Asian American Studies. In 2011 he authored the Japanese language reference text, Eiga wa neko dearu: Hajimete no cinema sutadizu [Cinema Is a Cat: Introduction to Cinema Studies] (Tokyo: Heibon sha, 2011). His most recent monograph The Aesthetics of Shadow: Lighting and Japanese Cinema (Durham, NC: Duke University Press, 2013) explores the innovative lighting and cinematography of early twentieth century Japanese cinema, creating a new history of the art form in the process. There will also be a private dinner event in the evening for presenters and discussants. 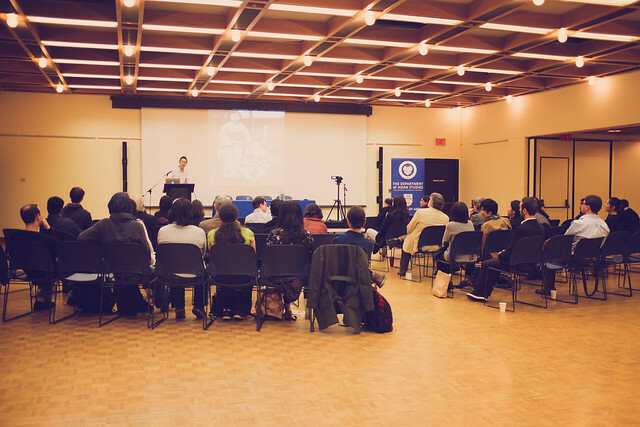 On March 9, 2013, Asian Studies MA and PhD students hosted the second annual UBC Asian Studies Graduate Student Conference. 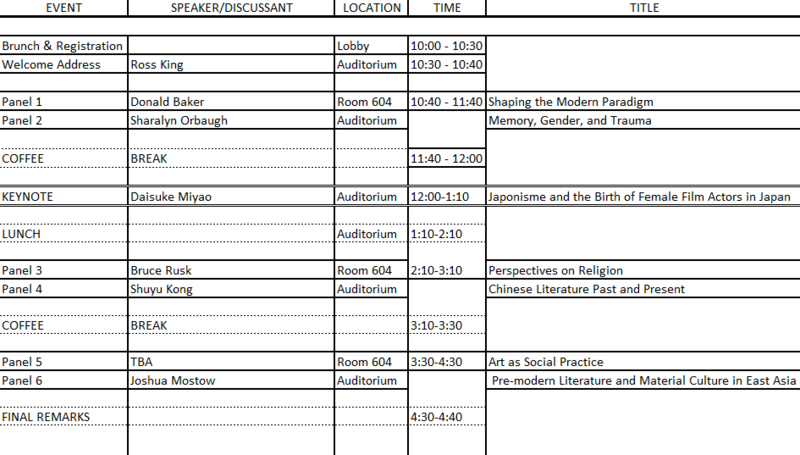 The conference included more than thirty graduate student presenters and faculty discussants whose papers encompassed the fields of anthropology, art history, drama, history, linguistics, literature, political science, and religious studies. This year the conference was opened up to graduate presenters throughout the world, resulting in a broad spectrum of presentations organized into concurrent panels. After a day of strong papers, constructive responses, and lively discussion, participants unwound over a multi-course dinner. Kudos to the organizing committee, led by Kimberly McNelly, for their efforts in realizing such a successful and stimulating event, supported through funding provided by the Department of Asian Studies and the Institute of Asian Research.